Present era, the business needs to depict the quality of the product to the aimed customers. Nowadays the business lords want to update their business sale using internet sources. A website comes across to get your business in the web world. This may cause a bundle of benefits to your business. The website’s originally focused on obtaining the trust of customers and make them satisfied. The online purchase product and sale product is more convenient in present time. Where to go for the web development? Whom to inquire for the development? What are the resources available for the top web development platform in the market? The PHP web application development is the most appropriate solution for the business owners who want the website for their businesses. The PHP is all in one web development language. The businessman thinks upon the development of business in the terms of sales, marketing, and credibility with a new business platform called e-business. The business website is picking up your business to the e-commerce world. The website is not making a difference between the large, medium and small scale. The website is a platform which creates more awareness of the product and gives you an opportunity to comes across with consumers to make a good deal between provider and consumer online. Easy dealing with the clients. Increase success rate of e-business. More consumers more business growth. Product awareness spread faster than the native business style. Why do users demand PHP web development? The user has knowledge about the information technology due to digitalisation in the market. They are more convenient with the use of website development and the benefits of using a website for their business. The PHP provides cost effective solution. The PHP is top web development platform cause an open source language working on both the Linux and windows server. Many users prefer using Linux server because it has no licensing charge to associate with the server. Today, PHP includes many frameworks for complex and eCommerce website solutions. The Codeigniter, Joomla, Drupal, Magento are the popular framework use for web application development. The developer can easily learn PHP and execute it as compare to other programming languages. The PHP syntax is based on c and Perl languages. The iMOBDEV have the expert team of PHP web development and will allow you to choose framework from your side. The most popular for the web application development platform is CakePHP. A web platform for your business website must have faster and simpler for the development. The CakePHP provides a CRUD abstraction using the abstraction design pattern. The ActiveRecord approach wraps the database tables in a PHP class. This will help the developer to write an application within PHP not need to switch into SQL. – Controller includes business logic. – Easy extend with plug-ins. The CakePHP web application development uses MVC architecture, that becomes more comfortable, faster and quick to understand the design, code and database. Laravel is a leading PHP web application development framework for building enterprise-level websites. Laracasts is full of joy for the developers to build a website with PHP. The sitepoint.com states that Laravel is the most popular framework since 2015. - Laravel supports MVC architecture push to organize the code into business logic and maintainable sections. - Easily manage and connects resources smoother to route all the client/server. - Built-in unit testing and simple syntax. The Zend is strong and open source framework that enables to develop PHP web application. The Zend is recommended for the complex projects, it uses object oriented coding method so that it considered as a collection of classes. The agile methodology is used to create Zend framework facilitates to deliver quality applications for enterprise clients. The faster development and efficient maintenance can possible through Symfony framework. The Symfony provides architecture, tools for developers to build complex web applications faster. Symfony is full-stack framework and library of unified classes written in PHP. The CodeIgniter is a robust and lightweight framework for website development which includes MVC architecture which supports to separate all the files of HTML, PHP and SQL, also not forced you to use MVC. The PHP web application development frameworks which accelerate your website with speed and perfect harmony to deliver data and maintain a connection between client/server. 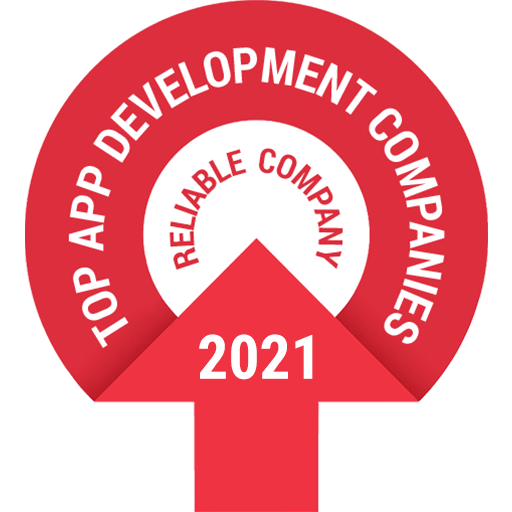 The top web development platform for your business is providing now with top-ranked highest demanding in the market would give you an exclusive window for business growth.